Collagen Molecule, one of the constituents of Fascia. The name Myofascial Freedom Massage Technique was coined by two of my teachers of Massage Therapy in Nashville, TN, Steve and Suzan Sommers. It is a pleasant, effective hands-on massage technique. Myofascial Freedom Technique eliminates pain and restores normal motion in places of stuckness and limited motion in the body. It feels great and is very relaxing. Myofascial Freedom Massage Technique uses gentle, constant pressure. This constant pressure unwinds Myofascial connective tissue restrictions. This uses the elastic properties of the fascia to help it elongate and come back into a position of ease. Myofascial Freedom Massage Technique is related to Deep Tissue Massage because it accesses deeper structures in the soft tissue. Fascia is the protein covering that surrounds every structure in the body. Fascia is Connective Tissue which is made up of collagen and elastin, the two most widespread proteins in the human body. Collagen is a triple helix molecule (gettin' my geek on here) arranged in a left-hand spiral. It is incredibly strong, and it is the chief component of scar tissue, which the body lays down to strengthen and patch an area that has received injury. Its chemical structure gives it a tendency to stick to other molecules like itself. These bonds grow tighter and tighter over time, which is why it is very important to address a fascia adhesion as quickly as possible. Myofascia is fascia which envelops the muscles to give them structure and tensile strength. Fascia has a very high tensile strength, so this helps muscles retain their integrity and resist tearing under heavy load. 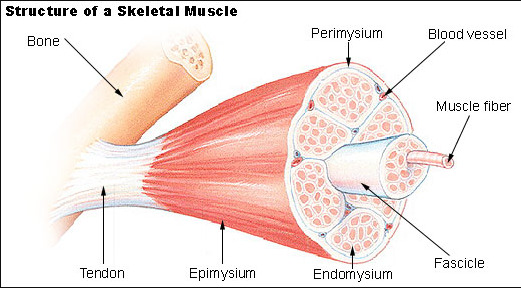 There are layers of myofascia, each layer covering a different structure in the muscle. Although designed to glide against each other, these layers occasionally bind together, creating pain, discomfort, and reduced range of motion. Myofascial Freedom Massage Technique releases the bound places and restore the gliding property of healthy myofascia. Myofascial Freedom Technique releases adhesions and stuckness within the body's superficial connective tissue, the MyoFascia.